My account was suspended/Froze with all of my money on there. I don’t care about the account but at least let me get my money off. Still have not got my money 2 days later!! I just started using Venmo and it has been pretty smooth so far... Thank you for providing a different banking service. All my peers are on this Pay site so it makes it easy. To keep track on who is buying next! I love to use Venmo, it’s generally easy and a smooth app to use, but lately if I don’t have enough money to pay someone and it’s hooked up to my checking account, it will be disconnected and I’ll have to sign back in and reconnect, sometimes it doesn’t work and I’ll have to do it several times to finally connect. I connect to an account. Try to pay. Error report says insufficient funds. Not true. There are sufficient funds in the account. Retry multiple times over many days. Same results. No help on line. I have had no problems with PayPal. Friends using Venmo, so gave it a try. Very disappointed. Great app. Don’t know why I need to be able to see other people’s transactions. I don’t like knowing things about people that I don’t need to know! It’s weird that the app shows me the transactions of other people. Why is our world so obsessed with knowing what other people are doing all the time?? Stole money out of my bank account. The told me that they could not help because I didn’t have an account, and I needed to create one. Made a account and now they still can’t help because there has not been any activity on my Venmo account!!!!!! App is easy and convenient. It takes a few days to transfer money to your bank account and there’s a fee when you use your credit card. Wish there were more options to use for online services to use your money. Use it often between family members/friends for pitching in on family holidays, bbqs, dinners and other reimbursements. Glad I found this app!! Hi I have reached out to your customer service twice and never received a response. I got a new phone and can’t log in to my account. My account is hooked up to my college email which I no longer have access to so you keep sending the code there. Please help me!!!!! Auto set transactions to PUBLIC? ARE YOU NUTS? I can't even believe that your app would try to make a social media feed on peoples financial transactions. That's so bizzare, and i didn't appreciate learning that my transactions were in a public feed. You’re better off getting cashapp. Venmo can’t verify their funds. They’re way behind cashapp. There are so many other money transferring apps to use... someone hacked my Venmo acct and stole $400. I disputed it with my bank and I was reissued the $ that was stolen from me. But Venmo closed my account and said I can’t open it until I pay them the $400 that I disputed with my bank.... how does that make any sense? I’ve sent emails and screen shots of the fraud and the investigation and they STILL won’t reinstate my account and are asking me to pay them. Why would I pay them money that was stolen from me??? I signed up for Venmo and proceeded to make a payment to my friend. After there tries where the status indicated it was an incomplete transfer, I gave up. A few minutes later, I found out that the money have devoted my account three times. My friend refunded my payments and now the service is unable to transfer it back to my bank account. Nice. So easy to transfer out of my bank, but I have been waiting 16 hours for the refund to post. I guess I know how they make their $$. Will never use this again. It’s a horrible service. Venmo Is Fast And Easy. I have tried other money transfer methods and none compare. I wish I could give you guys less than 1 start. 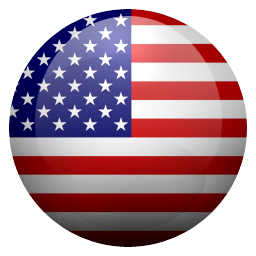 Just a great and easy app to use with friends and family. So thankful for the easiness of showing generosity and need. The bestest apps. Fast and convenient way of expressing your love to your loved ones. Poor customer service, locks you out of it for no reason, horrible way to send money and receive. 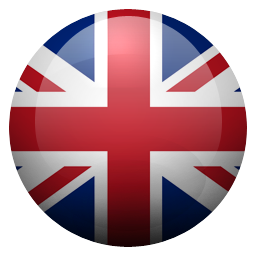 Great app , easy to use! I had 2 people access my Venmo account and Venmo themselves over $1600 and within a week Venmo’s customer service was on it and had the transfers stopped. Super easy way to transfer money between friends! Love love love this app! So easy to find and pay anyone for anything! Why so hard to link bank account? I HATE having to read about the transactions of random people i barely know. I find this feature to be incredibly creepy. I have turned on privacy settings for myself but that doesn’t stop me from seeing a stream of other people’s transactions every time I open Venmo. No one I know likes this. I avoid Venmo emend possible because of it. Eeeeewwww. You guys should pay me to write reviews for your company and any of its affiliates! Best app for money handling, ever. Dear Venmo - my Venmo account was tied to a number I had to give up due to a job move. Not only did you make it impossible to login without my number, but you then instructed me to look for a workaround under the phone number verification screen that did not actually exist. You then directed me to send you a contact form. I filled out all the information (basically everything I had given you to set up the account in the first place) and then you would not allow me to submit said form since my Safari browser on my iPhone was not current enough for nCaptcha. Banks love you because with services as advanced as yours, checks may be in my future again. So convenient!!! Super easy to split the bill amongst friends. Very happy I could easily add a credit card to send money from! Venmo keeps taking money out of my bank account for things I do not have like amazon music and therefore makes me negative in my bank account. Great way to pay debts owed to friends, family and whom ever you might owe money to. The app is great. Thanks Venmo, much appreciated! worlds worst customer support headache pain in the rear app for payment took my money from my account in less than two hours yet they swear it takes 3-5 days before it shows up in venmo account. in today’s world where it literally only takes hours to transfer money there is absolutely no reason it should take 3-5 days for them to put funds in the account when it took them less than 2 to take it!!!! Screen that pops up to choose credit card is not intuitive for new users. I had one debit card entered . I click that card ...and nothing happens. My younger friends had to she me I actually have to “x” out of that screen. To me that means canceling, not confirming. Look Venmo is easy and convenient but they are terrible with customer service. 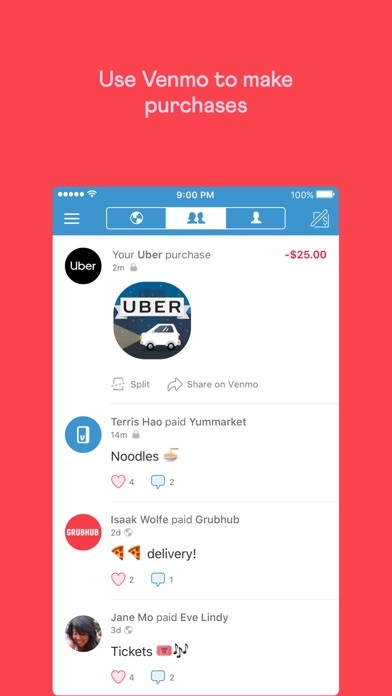 My friend has over $300 stolen from her through a glitch that Venmo refused to pay back. Bottom line it’s sketchy to be sending money through an app and this app doesn’t deserve the popularity..
Venmo from by PayPal? ?negative stars!can’t believe the service !phone and email service!there’s no doubt about how bad they are !how they make people money ? !by lol are you kidding ! 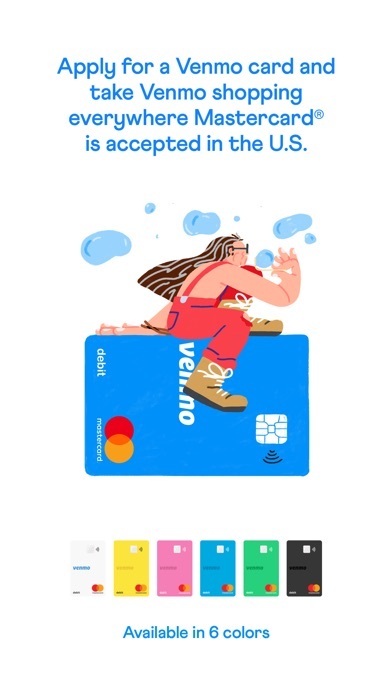 Venmo lol!waste your time and lose your money!! Not recommending!! This service seems really easy and nice until it doesn’t work for you and the company will not refund your money. I’ve used it many times but a transaction would not go through to my husband so I told him to send it back. Then it wouldn’t transfer back into my account. Venmo refuses to revert the charge... now I have $500 in Venmo cash and no money to pay my bill with. I will never use Venmo again... this is absolutely unacceptable, terrible business practice. I will be reporting to the BBB. They won't let me delete my account, and keep spamming me emails. I hate to tell too many people cuz I don’t want to share. Liz knows hair more than anyone. And she is so dang nice! Won’t go to anyone else! Luv it so much to send Birthday and other special times a little gift! Overall I love Venmo! Had issues with loss of connection to my bank account which has been annoying. But otherwise it makes life so easy to send people money!! My account is tied to Facebook which as everyone knows is connected to a high school email. Now people constantly try to pay me on Venmo to my regular email which apparently shows up in their search. Which I did not authorize. My phone number is also wrong and I have contacted support THREE times and they tell me they fix it but the code always goes to a past phone number. Really terrible and honestly embarrassing. These issues must happen constantly. We're all going to move to the next competitor if you don't improve. Venmo is the best way to send or receive money. Easy and fast! Amazing customer support with ability to actually help when it’s needed and the result of complicated matters very quickly and efficiently. I don’t normally write reviews but after very complicated situation I was in everything got handled and resolved in less than 10 minutes. Spending limit needs to be more flexible. The limit case as a surprise. I promised to pay someone and had to make a partial payment instead. Currently having the most difficult time with this application!! Cannot add any type of payment method. And talked to support and they cannot fix the issue. Clearly I’m one person saying this but very disappointed in this application. If the issue doesn’t resolve in a few days then I will be removing this app. As normal I send money and receive money on Venmo, however out of the blue one day I received an email saying my account has been frozen and to send a picture of my ID. After i sent the picture they immediately deactivated my account permanently with the reason being they are acting under their own input which basically means they didn’t like that I was constantly sending and receiving a decent amount of money per week. There’s a clear reason why this app isn’t #1 in the financial section. I had trouble accessing my account and the customer service was fabulous! Absolutely love it There are no hassle! Simple and so helpful! I charge everybody and pay everybody with Venmo! It’s an irritating app as every time I use it, for some unknown reason, looses connection with my bank. Venmo is a necessary evil so whenever possible I use another cash app. Boy, would I give Venmo zero stars if I could. Let me start by saying, Is Venmo convenient? Yes But are they only out for themselves, YES. and are there plenty of other apps that can do the same thing?, YES. I recently sent a friend money on Venmo. Unfortunately, I sent this money to the wrong person. I have no way of contacting this person or getting in touch with them to send back the money. I thought the process would be quite easy to receive my money back once I reached out to Venmo, but boy was I wrong. I tried contacting Venmo through chat multiple times and each time they told me they wouldn’t be able to help me. I was certainly not going to give up that money just because they “couldn’t do anything for me”. I reached out to my bank and they were able to get me my money back after a couple of days. I was very happy until I received a message from Venmo stating that my bank was not authorizing the payment and that Venmo was going to “have my back” and loan me the money, this had essentially put me in debt with Venmo. Now, any money that I receive will go straight to them. This is absurd! I reached out to Venmo once again to explain to them the situation and they again told me that they could not do anything for me. 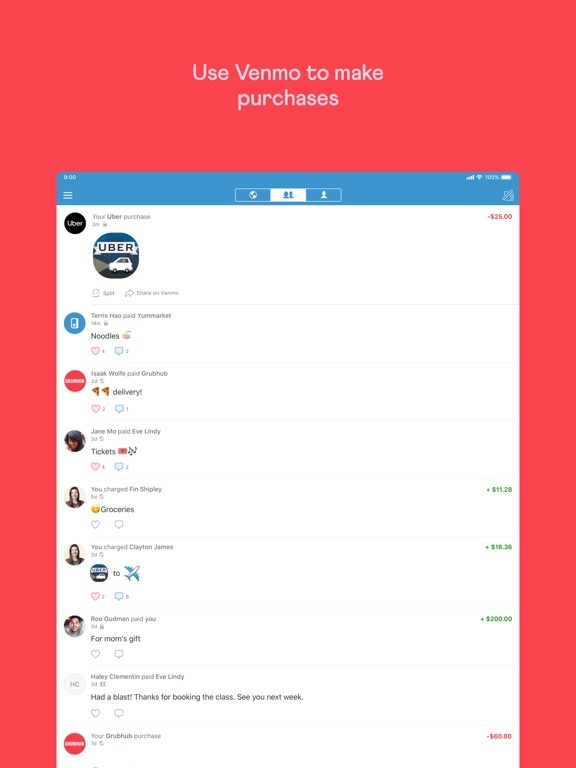 Venmo is only out to make money off of their users. They will absolutely not have any sympathy or help you if there is any kind of mix up. STAY AWAY! Forgot my bank account on purpose...? I really like this app. It makes transferring money from your friends or family easy and free if you have the three days to wait. I liked the option that was only $.25 to directly put it on your debit card but now it’s a certain percentage of the transaction which can get pretty costly. Also I tried to send money recently and they “forgot” my bank account. So when I went to re-sign up of course they gave me two options. The first one was the fastest and I could’ve been approved that day but I would have to give them access to my bank account which said they can see exactly how much money I have in there whenever they want to make sure it “covers” the transaction! I didn’t like that idea so I chose option two which took three days but I just had to type in my account and routing number so they just take money out. I didn't want them to have access into my account to see how much $ I had. I just think that’s non of there business. Fortunately I could wait for three days to send the money but I’m sure a lot of people who sign up that day to send money quickly, don’t read the full contract and realize what they’re giving them permission to do. Read what you sign people ! Much easier to use than writing a paper check. 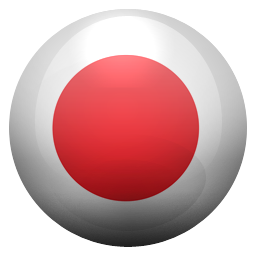 I use this app a ton and im a huge fan. One thing that enraged me though is that they’ll sometimes keep your money hostage when you try to pay someone , adding in layers of verification requirements while possibly collecting interest on the sums held up- they don't notify the sender that the money they sent was unclaimed allowing the sender to choose an alternative payment channel - I learned from a young homeless woman who had a Venmo account who i sent money to for train fare, that they would not allow her to accept what I sent. I consider this to be abusive of their fiduciary role. 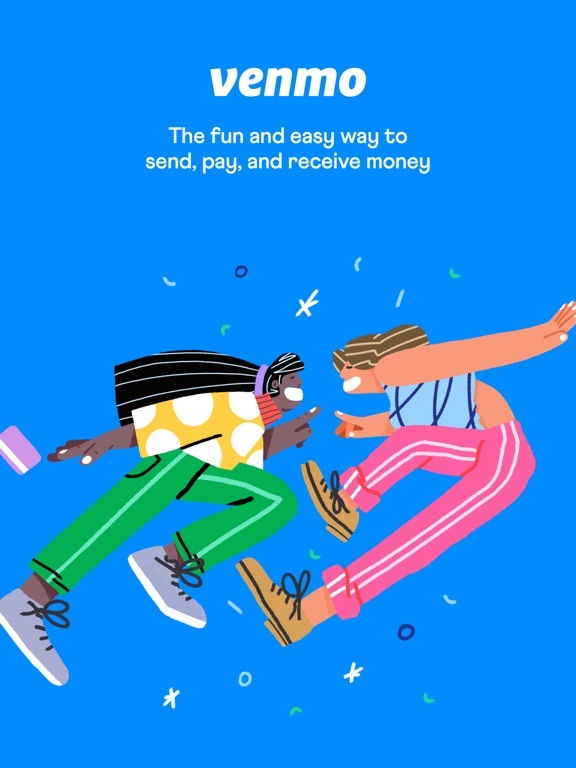 I want them to fix this and make it easier for people in her situation to access funds to be able to improve their situation or make it clear to the person who sends money that the money never reaches the intended recipient. I would give them fewer stars for this issue, but i find for regular use with established contacts it works well. I wish i had the option to preschedule payments or set regular payments. I also wish that my venmo balance would apply to my payment when the amount exceeds the balance- instead of sitting there! So I got a new phone and as such, ended up locked out of my Venmo account. I reached out with my email address on file, confirmed my private bank information, and after two weeks I cannot get any response to be let in to my account. They’re saying they need an image of my ID without any information covered as if the verification I provided already isn’t enough, but I am a victim of domestic violence and as such, requested written confirmation that an image of my ID would not ever be shared with anyone else before I provide it. THEY REFUSE TO GIVE IT TO ME. They will NOT put in writing that if my ex, who I named specifically, reached out for info about my account, they would not provide it - why won’t they agree not to give my personal information out to anyone else? This is SO scary, SO troubling, and enough for me to take my business elsewhere which is such a shame as I was considering migrating over to them entirely. I have followed up with them again in hopes to regain access to my account and once I do, will be pulling all my information and money out of it and requesting to be wiped from their database. I would never recommend Venmo to anyone and I will be taking this information anywhere I can so others are aware of how dangerous it is to trust Venmo with their private information. Had a friend want to send me money but they only use Venmo so I decided to download and set it up everything went great setting it up including the bank account until it came time to add my debit card for payments and instant transfers. It wouldn’t allow me to add my bank debit card or my credit card. I called my bank and they said they work with Venmo and my card should be working no problem. So I tried to contact Venmo today and they are closed to phone calls so I couldn’t talk to a person I could only email and or chat (txt) with them and they told me it was flagged and could not be added and that they couldn’t tell me why and said they weren’t provided that information and it was done by there automated system and there was no explanation they could give me and there was nothing they could do about it. I asked who would be able to give me that information and then they said there is no information available.. now I have to wait and transfer to my bank account in hopes they don’t try to flag that and hold my money. It’s not $20 bucks I’m trying to get out of my Venmo account either. If Venmo will correct my issues or even atleast give me an explanation I’d be happy to update my review but as of now I unfortunately have left this type of review. When I first downloaded and added the app I didn't have any problems. So I had my family download the app too. Then all of a sudden my instant transfer option was not working. The only option that would work is the standard 3 business day option. I called my bank and they said it wasn't them because Venmo didn't even attempt the transfer. When I contacted Venmo they had no idea why it was happening, they actually said that! Then they said that it does happen at random and I was the lucky one! Then they told me the only way I could transfer to my bank was by using the standard 3 day option. This is ridiculous! I only downloaded this app because of the instant transfer option. My KIDS were out of town and I needed to get funds to them immediately. Once again Venmo FAILED and couldn't make the transfer...only showing "Sorry your transfer did not go through". I tried to test it out and by sending someone else funds and it was all a hit or miss! One said he could transfer then of course could NOT. Either way my kids did not get their funds when they needed it!!! I had to drive 2 hours right after I had a baby to get it there because Venmo FAILED me again! Only use Venmo if you're not in any rush to see your money in your bank. It’s my money and I want it NOW!! Really!? 2-3 business Days just to transfer your money from your Venmo account to your bank or debit card? That blows. I suggest everyone try the Zelle app as soon as someone sends me money through Zelle I get a text from both Zelle that someone transferred me money and I also get a notification from my bank telling me they processed a check for the amount I just reviewed on Zelle. So I don’t even have to go into the Zelle app and say transfer to my bank, IT DOES IT FOR ME! So nice and convenient. I have nothing to do with the Zelle app I am just impatient and want my money that someone sends me right away and to have it accessible and ready to spend using my own debit card from my own bank instead of having to get a Venmo card just one more card to carry around in my wallet. I don’t use Venmo to make purchases or pay friends back for pizza or anything I use it to just collect money for my businesses and the services we provide. So again it’s my money and I want it now, I don’t want to have to wait 2-3 days for it to get into my own personal bank account or be charged a fee to do it right away like other apps do like the CashApp. That’s just absurd take a percentage of my money Bc I want it now!!! Again Zelle is where it’s at, it’s the beezkneez! They were great. Until I was had to change my bank to my husbands because we’re married. I tried to add my bank account but it wouldn’t let me. I contacted Venmo they that since my husband already was connected to our checking I couldn’t. They only allow one Venmo per checking account. They said I would have to add my debit or credit card which they will take 1% for debit charges and 3% for credit. I use Venmo more than my husband so we decided I would link my Venmo to the checking account and he would link his account to our debit card. He deleted the checking account but it still wouldn’t let me link to checking. Contacted Venmo again and they said that even though he deleted the bank, he still is linked to the account until he calls them himself to “release” his account.. suspect. My husband is a marine so he isn’t home often. He was out in the field at the time so I had to wait til he was home. But when he gets off work, they’re customer service is closed. This has been so ridiculous. Does everyone else know that their bank account stays linked even after they delete it.. doesn’t seem very cool. I LOVE Venmo, my only complaint is that it can be annoying toggling between two different banks (one checking account with my bank where all my deposits go, the other is an online savings account where I put money aside to pay off loans and other bills). So if I’m using one account for every day payments, it’s a pain to switch to the other account to take money from there. But honestly it’s not that big of a deal overall, especially when this app makes it so quick and easy (and secure) to pay people. I hate owing money, so being able to almost instantly pay someone back is amazing. And I REALLY hate fronting the money for something, and there’s always the friend who is short right now but will get you back later...and you know you’ll never see that money again. Not anymore, it’s insanely simple to pay someone (and to send payment requests to anyone who “forgets” to pay you back right away). As Rihanna widely commanded, pay me what you owe me. I received the debit card they offer to use your funds. I have tried it at multiple atms and online purchases. It has been declined every time and has shown a positive balance since I’ve opened the account. I called the support number and the woman was very nice but said some users cards don’t always work for atm purchases and there is no reason for it and no way to correct it. I was also told the same thing with online purchases and how they may not work but that it should work in store. So I am now off to try the card for an I store purchase to see if it will work or be declined all ways around. When I asked for more information they said it’s what they are told and that they don’t know the reason and so on and so forth. I’ve never heard of a company not letting there employees know how things work as well as someone who is partnered with MasterCard and owned by PayPal. If I were either company I’d be livid that people are given no solution and aren’t using their card which in I’m sure MasterCard is losing out everyday as I was told this happens to a lot of customers and no fix. Good luck Venmo. You might be new but how you can not know about the services and products you offer is mind blowing. I wish I could give this zero stars. Yesterday I attempted to send money to my brother. The app has access to my contacts so I searched for his name/number and send him money that way. It did not tell me that he didn’t have an account already. I get a notification that he accepted my referral and created an account then accepted my payment. My brother and I are chatting about it and he tells me he did not do that and when he tried to create an account later last night it said his number was already in use. So some random person now has my money and I assume by now has deleted the account as they no longer are responding to my comments or money requests (just for my initial payment amount.) Venmo support has been useless so far. I will be disputing this with my bank of course but beware to all users. This is the exact reason people fear this type of payment method, too easy to scam. Also, while the referral feature makes sense, it shouldn’t auto send payment after it. It should ask you to confirm payment amount again AFTER an account has been created. Would have prevented this whole mess, because by that point I knew it wasn’t not the right person. Verify your account? More like verify someone else’s and lose your money! My boyfriend and I have been using Venmo for some time to pay each other for rent or other expenses we decide to split the cost of. Well, I recently sent my boyfriend $250 for this months rent, he transfers the money to his account (which happened successfully in the past) and never received his money. After a week he reaches out to them, and they claim they never verified his account. Now if they didn’t verify his account, where’d the money go? Well, it turns out they deposited the money into another persons account through the same banking agency with a similar last 4 digits of their account # (only found out after investigating with the bank since the online representatives continuously kept leaving our chat when trying to get to the bottom of this). Venmo claims they cannot do anything about getting the money back, even though they didn’t verify the account, and yet transferred the money successfully in the past AND are the ones that processed the payment to the strangers account even though it’s not the one that appears in my boyfriends Venmo account. Absolutely ridiculous, do NOT ever use Venmo! I REALLY thought this app would be reliable and convenient! It made it easy to pay my boyfriend back for groceries and my roommate for rent. Now, it takes DAYS for my money to get to my roommates’ bank funds (no quick deposit available for him) and I can’t even quick transfer a measly $25 into my account from the app! When I called a representative she literally told me that for some unknown reason, the feature is no longer available to me. Even though it had been for months now! She told me she had no way of knowing or overriding the block on my account. Then what do they even have customer service for if they don’t know how to help customers? And this isn’t the first time it’s happened to me... from now on whatever money someone owes me, I’m just going to go straight to the bank and deposit it. That in itself takes away the use of this app- I mean if it actually worked properly, it’d be amazing! But that it does not. Furthermore, my mother had her funds of $400 just disappear once when transferring them to my brother’s account. If you don’t want your money to be mysteriously floating around and disappearing on an app, STAY AWAY from Venmo. This app doesn’t even deserve a star. I didn’t even want to download the app but my husband insisted because he uses it. This was actually my first time using it so I could pay a bill while he was away. Long story short my husband sent me $285 from his personal account, they instantly took it out but it wouldn’t transfer into my personal bank account through the app so I sent it back to my husband so he tried to send me a smaller amount. That didn’t work either so I sent it back. Next thing I know my husband and I received an email saying we violated their user agreement and our accounts are permanently deactivated and can no longer use Venmo. So I emailed them Sunday March 31st asking for a number to call so they can send the $285 back to my husbands personal account and their reply was their offices are closed so I can expect a reply during business hours Mon-Fri Mind you this all happened a WEEK AGO. No one has contacted me back and today is Tuesday. I don’t care about using their app I will never use it ever again; just send my husband’s money that you guys took! That’s the least you guys can do. Now we’re behind on our bill. What supposed to be an instant transfer...wasn’t! If there were ZERO starts I would give them that. My boyfriend transferred me $ through Vebmo by my request and I’m still regretting it. No such thing as instant transfer. He transferred it last night, it’s almost 3pm now and the system doesn’t allow me to transfer the $ to my bank account. I thought this was going to be faster than doing it through my bank account. I called Vebmo and their logic is that ‘the account has red flags and they couldn’t pin point why it has red flags. Their suggestion was to use my bank account which takes 1-3 days or get frozen longer if they find red flags.’ Idk what they mean with red flags! They never explained ! And they don’t know what else to say when you ask more questions and they cut you off and say,’is it something else I can help you with?’ Dang, they didn’t help me at all!! I think they want me to take my $ lil by lil so they can charge me more. They charged my boyfriend $90 for sending me money. They’re taking $10 from me for transferring it to my debit card and still can’t get my money? Unbelievable!! I should of have used Zelle!! Last time I use this app. HORRIBLE experience!! 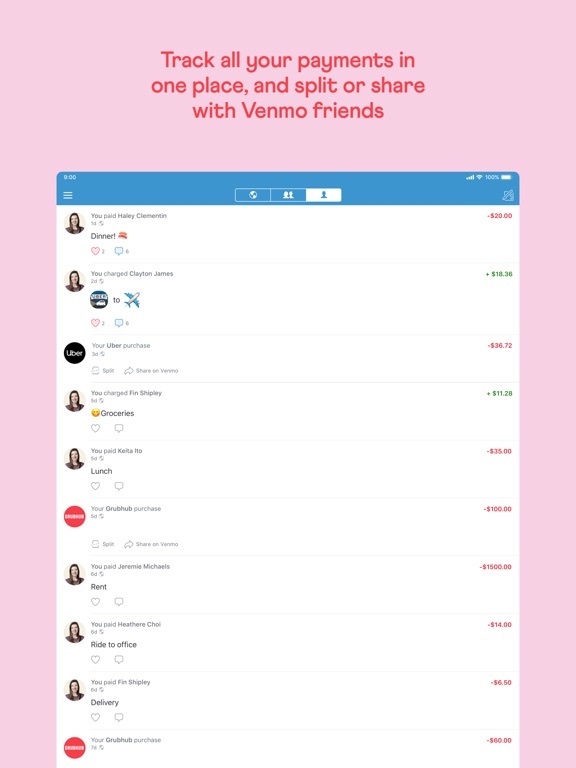 Venmo, all of a sudden, became like cable companies. When an issue arises, you sit with a bunch of well trained apologists that refuse to do anything but shift blame. Venmo skipped using my preferred payment method and used my company credit card, which was not marked as “preferred” in any way. The money was in the original account but somehow they couldn’t get it. Instead, they opted to use an inappropriate credit card without first requesting or mentioning it. Then they strong armed me because actually attacking the abuse of this problem would be a far worse abuse than I’ve encountered this morning. Then their customer service reps, after not servicing their customer, acted as if they were taking the high road by not helping. Needless to say, they’ve lost one customer, but nothing will actually happen until everyone is a bit more discerning with these huge corporations. 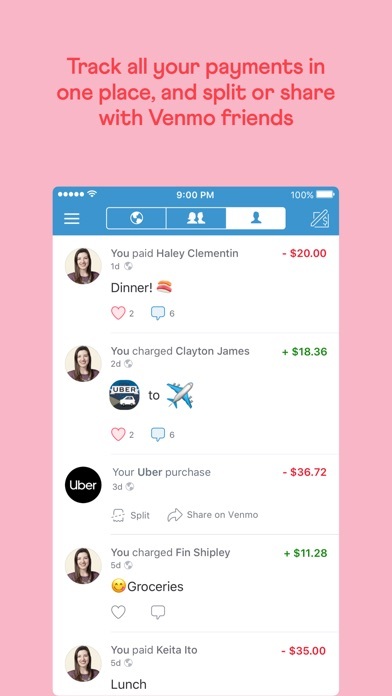 I encourage everyone else to find another way to send money, possibly with a boutique version of Venmo, so they get the message that this version of “customer service” is an embarrassment to society and a huge embarrassment to the people employed in this work, and the distortion it must create of their perspectives. As with any paypal-owned company, I kept zero to minmal balance in their hands. They froze my account a couple of times, demanding various sensitive personal identity or financial documents, to be delivered to them via plaintext (read; insecure) email. I refused and uploaded via https to their support site instead. That prevented them from seizing my funds until one day a friend sent over a three-figure amount for a plane ticket. Shortly thereafter, they froze my and my father’s accounts permanently, when 2 out of 10 small payments failed due to the VISA debit card refusing authorization. The “account specialist” “gustave” is a particularly nasty piece of work, always closing my tickets as “resolved” after demanding a large number of ID and financial documents which obviously takes time to assemble but I eventually all provided. In the end, Venmo has permanently shut down my account without returning the three-figure balance I have. An internet search turns up thousands of similar horror stories, with people losing even more than what Venmo has stolen from me. Avoid it at all cost. Paypal/venmo personnel should be individually snd jointly prosecuted for their criminal enterprises. Venmo Is Great for Musicians!!! As a musician and a band director, I'm always on the go, which means that sometimes I forget to bring my checkbook to a gig. Musicians should never be paid late. Their paid to perform, not paid to wait on checks. This app allows you to quickly and seamlessly transfer money back and forth between clients, friends, and family members. I was reluctant at first, preferring to never enter my bank information online. I've been with them for two years now. I've transferred payment many times, and have done so without a single breach in security. Here's the kicker: It's all been free! I wholeheartedly endorse this application, and it has become my primary tool for sending and receiving payment! 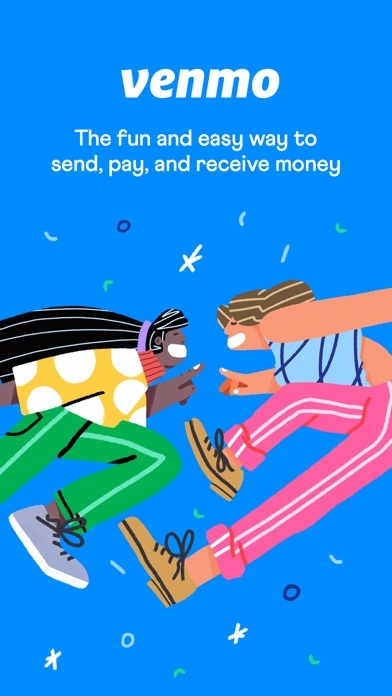 Keep up the great work, Venmo! Thank you for your updates, thank you for your quick service, and, most of all, thank you for the peace of mind that comes with knowing every payment is fast, secure, and confidential! In summary: release your app for iOS 10 if you’re going to pop up an in-app dialog prompting me to update in order to use instant transfer, you *?£¥s This company has enticed a number of people I deal with into using their money transfer service. They're now in the process of removing payment functionality from their website, forcing use through the apps. The app works fine; the people who are executing this business strategy are contemptible trash. Avoid this service if a network effect doesn't force you to use it. PS. Because their instant transfers now are 1% of balance rather than a flat 25¢ the app demands to be updated before allowing instant transfers at all; however, no updated app is available for iOS 10, making instant transfers impossible. This could have been avoided if this capability was built into their website. Amend the above denunciation to “the people who are executing this business strategy are contemptible, incompetent trash”. You should seriously be embarrassed to be part of this company. I hope to never have to receive money through this service again. Venmo is just exactly what I need. I don’t carry cash, and the small business owners and services I support only take cash or sometimes don’t have card readers. I recently had a bad experience with a different cash application where $350 dollars was taken and I had to wait a few weeks for it to be refunded. Afterwards, my bank recommended that I discontinue use of that particular app. Venmo is easy to download, user friendly, and most importantly, has proven safe thus far. My only “complaint” is that there is no need for users to see each other’s activity. I wish there was a feature to turn off the ability to see everyone’s activity. Currently, I can prevent others from seeing my activity, but it is a bit annoying seeing and unnecessary for me to know the spending habits of others. Please consider revamping the application with this in mind. Otherwise, great job and keep up the good work. You are appreciated! Recently had the WORST experience ever, customer service department and compliance department and all those in between do NOT communicate internally and causes misinformation to the customer. After trying to send money to a friend for a girls trip to Cuba Venmo held my money up in their compliance department, I followed their processes to provide details but requested that after jumping through all those hoops that they just cancel the transaction once it met compliance requirements. They made me submit itinerary and other personal information to get the transaction out of the compliance department so it could be reversed. Jumped through all of these hoops and they just processed it anyway, against what we had disused (by that time I had just opted to use PayPal instead since it’s easier). Long story short Venmo didn’t cancel the transaction once released from compliance as they said they would. Totally screwed up my finances with the duplicate transaction, and customer service was of NO HELP. My advice - STAY AWAY. Cash app, Paypal, Zelle, etc serve the same function without 1/2 the trouble and WAY better customer service. If I could give ZERO stars I would. I recently got a new phone and had changed my number. When you do this you have to verify you are you it’s almost every app. Well I was able to get into all my apps just fine. Except for Venmo. Unlike most apps, they do not use email to verify you. Only the phone number, which I do not have anymore and your card number, which was replaced a few months ago. So I email the customer service asking for my account back. After almost 5 emails of them telling me that it wasn’t possible to use email... I gave up and fortunately was able to use my laptop that still had me logged in. WELL, apparently they are moving away from being able to use desktops so I was unable to send money to someone. Back to customer service I go because j relied on Venmo. Well during this time I was moving to st. Maarten and was finally settled and now they are telling me that I am unable to use the app now bc I am in another country. MEANWHILE my boyfriend who is with me is able to use his Venmo. I’m over all of this. With there being so many other apps out there I will be just fine.. but eventually, will venmo? Hmmmmmm. I got Venmo due to the large amount of friends and family that had and used the app. It’s great for small transactions and emergency situations, but if anything comes up with your account, don’t even bother reaching out to their customer support. Three months later and they still haven’t resolved their card activation issues, giving me the same vague “our engineers are looking into it” answer, AFTER making me go through the exact same ridiculous process of explaining my issue, sending a screenshot of the error message, being told how to activate the card (even though I obviously already knew how to activate it, thus the error message screenshot), and uninstalling and reinstalling the app. In total, the conversation took 25 minutes just to be told they can’t do anything about it. Fortunately, I haven’t had any bad experiences transferring funds, but after reading many horror stories from other users, I wouldn’t suggest using it for three figures or more, unless you’re willing to risk never seeing the money again. It seems that customer support is poor on all ends of the spectrum. Worst App Ever!! Use CashApp instead!! I downloaded Venmo a few months back and tried using for the first time today. I have an urgent financial matter and a friend of mine loaned me some money to help. This was not a ridiculous amount, only $300. Nonetheless, I received the money into my Venmo account and when I went to instant transfer, they kept refusing and forcing me to use the standard withdrawal method. I checked to make sure that my card and account for “eligible” as they stated from their FAQs, and they were, yet the transaction would not go through. Finally, I called and they can only tell me something could’ve “gone wrong” or come back “suspicious” from the many checks they perform and they would not be able to override the system to force my money through. What’s really upsetting is that they promote a feature that is basically useless. I came to discover that this happens quite often as well. I will never use this app again and can’t wait to delete it from my phone the minute my money is in my account. Also, I will be sure to tell everyone I know to never use Venmo, ever! CashApp is much better! I was disputing a charge with my bank after having been mugged & having a checkbook stolen. My bank unfortunately disputed a random Venmo payment instead by mistake. After taking the money back from Venmo, my account was frozen, “temporarily,” and I followed all directions to unfreeze my account. Venmo has only let me make one payment since then, and now automatically declines every single payment I try to make. This even includes when I have a positive Venmo balance that can cover the payment trying to be made. Customer service personnel have all been polite and empathetic, but have been unable to do anything. “Due to security,” they can’t even see why the payments are being flagged, and have told me to use other options to pay for things. This has been going on for over a month, and I’ve talked to multiple customer service reps, who all open tickets that never get resolved. I’m very tired of it. Venmo was a useful app while it was working, but I’m being punished for a mistake my bank made after an unfortunate event happened to me. It’s ridiculous. i never write reviews but this is important to me because venmo is playing with my money. My friend sent me money that was owed to me. It did not let me instant transfer so i standard transferred it. It was supposed to get there in 3-5 business days. The day it was supposed to come passed, so i called venmo. They said the issue was with my bank so i called chase. Chase told me there was no way for them to locate the funds because it was on venmo’s end and the bank can’t account for anything that has not been received. I called venmo back and gave them this information, they send me a tracking number for the transaction to give to my bank. I called my bank AGAIN and was told they don’t track things down. I call venmo AGAIN and they say there’s nothing they can do either????? They said they need a letter from my bank but my bank keeps telling me they have no connection to this. I continue to email venmo about my money which is now late by 2 weeks AND THEY STOPPED RESPONDING. I SIMPLY NEED MY MONEY. I DO NOT UNDERSTAND HOW VENMO CANT DO ANYTHING ABOUT IT IF THE TRANSFER IS ON THEIR END. DO NOT USE VENMO. USE PAYPAL OR CASHAPP OR WHATEVER BUT NOT THIS. My friend transferred $400 to my account I go to do an instant transfer to my personal checking account and it will not go through. And oh how convenient no customer service support to call because apparently they work bankers hours. How in the world are you going to be a 24/7 cash application and not have any sort of online tech support or offer any live tech-support?? This is literally an emergency situation where I needed to borrow the funds which I did.....I now have my funds sitting in this stupid account which I am unable to touch or have access to and will have no way to contact their customer service until Monday morning it is currently Friday 7:30 PM. I am beyond furious. I knew I should’ve gone with my gut and used the other three different cash apps I have on my phone which worked beautifully and have never had an issue with. I only last minute decided to use this one for the first time tonight never thinking for a second that I would not be able to access my funds. USER BEWARE PLEASE don’t use this stupid application....no tech-support after 4 PM M-F. 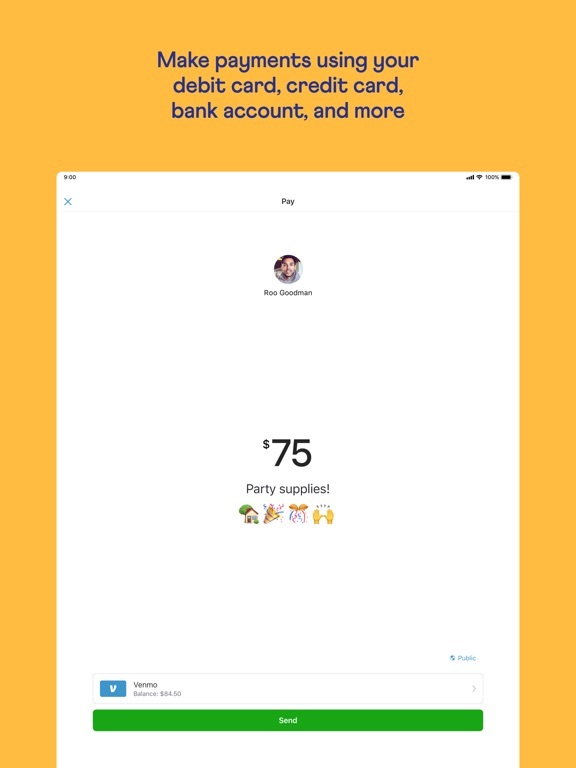 I hate Venmo because it is obviously, blatantly trying to steer users to take steps to generate more money for Venmo rather than just be a service to easily transfer money like Zelle is. Why in the hell would I want to make public money transfers i am involved in ,yet Venmo defaults to that ! And no i do not want to use money just transferred to me to buy stuff from their listed partner vendors. 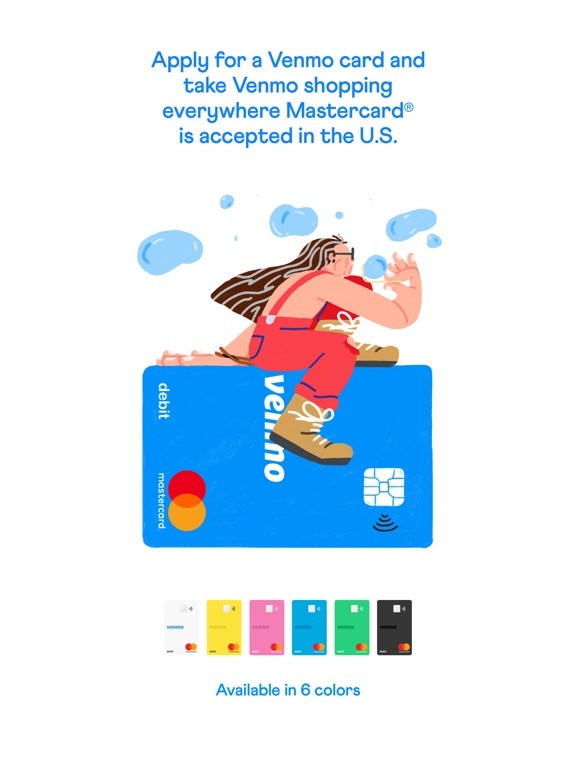 Nor do I want a Venmo card . Nor do I want to let Venmo collect a 1 percent fee from me for quickly transferring my money to my bank when Zelle does transfers instantly and for free ! The only reason i have anything to do with Venmo at all is that I have a business client who says his bank only allows him to use Venmo to make wire transfers to companies like mine. 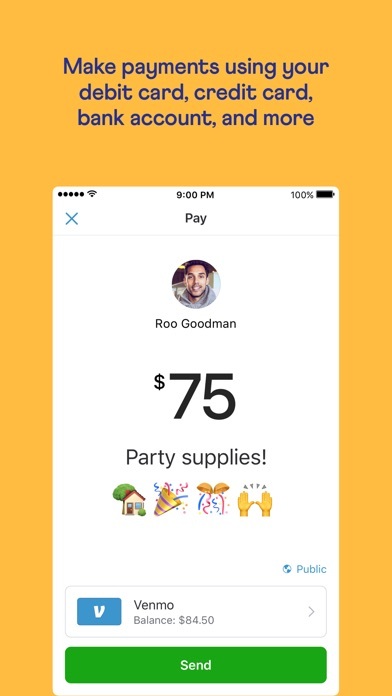 The only reason i can think of that people like Venmo is that it is kind of social media similar thing that has become semi-cool . Maybe they just out advertised Zelle in order to get a bjgger market share , and now users are paying for it. Was it P. T. Barnum who said something like “there’s a sucker born every minute”? So... my boyfriend sent me money on Venmo and My bank wasn’t supported on here. So I applied for and received the Venmo card. After I put the Venmo card information in and saved everything I went about my business for the rest of the day. The following day I tried going to the store and my Venmo card (which has a balance of $40) was declined for no given reason. I then tried going the the suggested money pass ATMs that they list. I was UNABLE to withdraw any money. This morning I call Venmo and speak to customer service. They tell me that there’s an error on their end and that they CANNOT over ride it. They can’t guarantee when or if I’ll be able to get my money off while using the Venmo card. The lady said just link your bank. I told her my bank is not supported in the app, and all she said was “sorry for the inconvenience, do you have any other questions?” Yes... will I be getting MY MONEY??? Never again will I use this app its all a scam to get and KEEP your money. So sad I really thought this app would be different from the rest but they’re not. Venmo is The only payment app I use! I absolutely love this app! I dog walk and people of course don’t always have cash. This app has been a life saver! My check through one line of work takes about a week and a half to get the payment to my account. However Venmo usually takes a day!! At most a couple days. So when I don’t have enough money in my account and a client pays me through Venmo instead of through any other way I get it right away and don’t have to worry about how I’m gonna pay my bills! It’s quick and convenient. I use it everyday and I love it! It even sends me emails letting me know the transaction has been processed and everything. I don’t even use PayPal because I have had so many issues with them. Venmo is safe, quick, and easy. I wouldn’t have it any other way. Great for someone with their own start up business! After 1 hr 26 min hold-time plus countless other phone calls on the same matter, VENMO decided on their own and without a detailed explanation of their decision to BLOCK my Black American Express Centurion card from my profile. All the rep and supervisor say “it’s a security issue” yet AMEX indicates there is ZERO issue on their side. Additionally, no resolution was offered! Not from agent or supervisor. No one said: “let me see what we can do”. “Let’s see how to resolve this”. Instead I heard : “ I’m sorry but there’s nothing we can do”. When I asked to speak to their security department : “ I’m sorry but we cannot transfer you” . When I asked to speak with another supervisor: “ I’m sorry but I’m the top of the line and the only one here today to speak to” It’s not ok and it is unacceptable that a company act this way. So after that long hold time I still do not know 1) what the security flag is 2) how to resolve the matter. VENMO is no longer my company of choice when there are so many others in this field! I’m going to pursue this matter with the correct agency to clear this — ASAP! I have used Venmo to receive payments from family and friends. I’ve never used it for any other purpose. Today I received a payment from a client. I didn’t know what else to do but initiate the transfer to my bank. Low and behold Venmo suspends my account for violating the Terms and Conditions of their Agreement but don’t tell me what I violated. I am supposed to wait 3 to 4 days for them to get back to me to tell me what they are going to do with my account and money. Everything I read says they will take your money and run with it or hold it for 180 days, or reverse you and charge you for the payment you never got! I have a mortgage to pay, 3 kids to feed and I’m SOL. I’ve called and emailed and I am met with reps on auto-pilot. There is no human touch or compassion with company. To boot, it’s my boys 6th Birthday. We were supposed to go out to eat but now I can’t afford to celebrate his day with him be because I am broke. Utterly disappointe. I worked a month, waited to be able to get paid, only to have Corporate giants take my money... devastating on so many levels. Easy way to pay back friends or bay any bill. DO NOT USE THIS APP!! I have had so many problems with this app!! First I was having trouble receiving my transfers multiple times. Second the customer service cannot or will not help with any issues. Third I tried to get my money transferred back to my bank account and had a problem with that so I called customer service once again they were no help, asked to speak to a supervisor she also was no help asked for them to just transfer my money back into my bank account an shut my Venmo account down. I was told they couldn’t do that either, so I was like so y’all just going to keep my money? Then I was told after a certain amount of days if it was not transferred I would not be able to get my money! I asked so I was like so y’all just scamming ppl out of there money if the transfers pending (under security check) doesn’t go through.. she went on to spout some terms an conditions that’s total bs!!! So if u dnt want your money stolen due to security checks an pending transfers do not use this you are better off using Cash app or Apple Pay. Worthless..Can’t Transfer money to my bank!!! You do not want this app. I have a good amount of money on Venmo and I don’t even have access too it. I can’t even transfer it to my bank account. Venmo keeps denying my requests so there’s no way to even get or use my money 😡 And very few online stores except Venmo as a form of payment so what’s the use of even having Venmo in the first place. I had a lady suggested Venmo cause there were no fees but they get you cause there is fees to transfer the money to your bank card but I can’t even transfer my money at all, I have tried for 2 days now & it still keeps denying my transfer request. Going back to regular old PayPal at least with them I never had one issue and always instant access to my money. Venmo Is Completely Worthless!!! I would give zero stars if I could. I tried to send my friend some money but Venmo wouldn’t let me. Even though I had added all my bank info before, it said it lost connection with my bank and asked me to remove my bank info and add it again. When I did that, as my friend who was in a hurry was waiting for her money, Venmo said I needed to add the info about my account number and routing number. I did that too and it said it will put two transactions in my account which I have to verify before I can send any money to anyone but it’ll take 2 days for me to see those transactions. This is ridiculous. If I wanted to wait two days why the heck would I use Venmo?!! I was embarrassed in front of my friend and I’m really upset with Venmo. I used my debit card to pay my friend just so I can save myself from anymore embarrassment. It’s funny Venmo lost connection with my bank for the free service (using my bank account) but it was able to use my debit card from the same bank (the service Venmo charges for). I should have never trusted Venmo because it is not a reliable app.